I was at a Target earlier today and was surprised to see the Chima ice mammoth set at ~$90 for ~ 600 piece. It was the first time I had seen such a large mark-up at Target, when I realized that was the actual price of the set from Lego! It is not even a licensed set, and even the Star Wars Cantina has more pieces and is $20 cheaper despite having a new piece/mould. Any idea of the reasoning on the price of this set? Is it because it has some bigger pieces? The fire lion set also has some larger pieces, though, and the price does not seem out of line. Any other sets from this cycle that seem over-priced? I am hardly surprised with this sort of thing anymore but the largest Arctic set someone pointed out a few weeks ago with ~700 parts for $130 seems ridiculous, even when allowing for the large boat shell. LEGO has always been this expensive. In 1991, the Metroliner cost $150, and you needed to spend another $45 to actually run it with a speed regulator. Though that $130 price tag on the new Arctic Icebreaker is mind-blowing - I hope TRU has it as their Black Friday special! Of course, using the weight is somewhat flawed because it includes the packaging and instructions. But among sets of a similar size, I think it's fine as a rough metric. Also, it's funny you mention the cantina. It comes in higher than all of the above at 7.2 cpg. And, having just built it, I concur that there's much to it given the price. Interesting numbers. Binaryeye, it is why I was wondering in my post the size of the pieces overall and if that was what was contributing. For whatever reason Ice Mammoth, while I think it is cool looking, just is not coming across to me as a $90 set. I had always figured it was about $75 +/- $5. It was only after I saw the price and the set and was quite surprised that I looked at piece count. That puts the price up there with the mech dragon, which for me, just comes across as more substantial of a set for the price, but that one in particular is a similar weight. I would argue that of all the ones listed (destiny bounty the exception, since I'm not very familiar with that set.) all feel accurately priced to me. Temple of Light at least feels like a $70 set (same weight and $20 cheaper) , or that Sonic Raider feels like an $80 set. Cragger Command ship, also at least doesn't seem that off at $80 with the huge plastic boat base. Mechdragon at least feels more substantial as well. Thanks for the weight numbers. I'm gonna go ahead and say part of it is because of the number of large pieces in that set. One extremely large piece can definitely jack the price up (just look at most sets with floating boat hulls to see an extreme example), but so can a lot of more moderately large pieces like in that set, which include four of these, one of these, one of these, and eight of these. Did I mention that none of those parts appear in those colors in other current sets? So the number of recolors could be yet another factor. Factory floor space is valuable. The set also includes six minifigures, including two (Maula and Mottrot) who are completely unique to that set. Weight is another factor (since it adds to not only the production costs, but also the distribution costs), but I wouldn't overstate it. #70145 Maula's Ice Mammoth Stomper is considerably lighter than most other $90 sets this year, other than the Nindroid MechDragon (which, interestingly, weighs less despite having 87 more pieces — a prime example of how the size of pieces can impact a set's weight). In fact, it weighs the same as Sunshine Ranch, a $70 set with over 100 more pieces! That set doesn't have as many unique minifigure parts and recolors, though — only some of the horses and the 1x1 round tiles used as eggs appear in unique colors. The complexity of some of its molds should not be understated, either. The two mammoth headgear pieces are co-injected with Brick Yellow or Dark Stone Grey hard plastic and white rubber. It also includes fifteen parts with ball cups, which tend to be fairly complex as molds go and are probably a part of the reason why constraction sets are so expensive compared to System or Technic sets. And let's not underestimate perceived value. Kids in particular are likely to judge the value of a set by its physical size rather than its piece count, which is part of the reason you see a lot of nostalgia for old-school castles with raised baseplates even if those had an appallingly high price-per-piece compared to many more recent castle sets. And this set is BIG when fully assembled, even if it's a bit bony. It may be much less complex, have far fewer pieces, and cost less than #75054 AT-AT, but the Ice Mammoth Stomper is roughly as tall, roughly as long, and over twice as wide. As mentioned earlier, it also has more minifigures, and to top things off it effectively includes THREE vehicles: the mammoth walker, the fire slider, and the detachable flyer (the AT-AT has just the main vehicle, without even a removable snowspeeder). That's the sort of thing kids will pay big bucks for. So I agree with you, I don't like that set's cost or its price-per-piece. But I can definitely understand why it's priced like it is. And it wouldn't entirely surprise me if it ends up selling well in spite of that high cost. Thank you @Aanchir‌ for very eloquently expressing pretty much spot on my opinion. I've said it before and I'm sure I'll say it again at some point, price per piece just does not work, price per weight is often closer but the weight and the piece count doesn't fully express production costs and design. I've heard a lot of good things about the Mammoth set, but without discount it is beyond my budget. 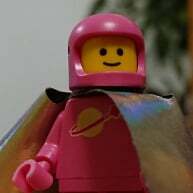 But I can completely appreciate the design of the set, the design of the minifigures and even though I'm not much of a parts expert I first looked at the set and was impressed at seeing a lot of parts I didn't recognise. I pretty only watch Amazon.com (sometimes yoyo when they have their legopalooza code activated) now for any deals that are out there. I'm sure if you catch deals at Target (and other retailers) using this card or that card and this stacking with this or that you may get some 'good' deals. But my bread and butter is sadly only Amazon at this point, and the Double points from LEGO. I just hope I have funds for any pre BF deals, for BF and Cyber Monday. It's posts like that that get me clicking on this forum. The Mammoth is one of the coolest sets released this summer. It seems overpriced but it's about the same size as the new AT-AT which is $20 more. Like others have said, you can't judge a set by it's piece count. Regardless, it will eventually be on sale or clearance so it's not unreasonable to figure on picking it up for $50-70. Let me clarify. This is mainly NOT about the piece count for me. I have seen the mammoth several times in person. I can generally gauge the price of a set quite well. This was the first time, though, that I ever bothered to look at the price and I was shocked. As said, I suspected $75 +/- $5. It was only then that I looked at the piece count today, then tried to examine the model they had. While technically it was 'only' $15 above where I thought, I think $90 is a magic number of me where it suddenly starts to feel much more expensive. For example, I spent $100 for Galactic Titan, which felt worth a large set and $100. I feel the agent Command Center feels like a large set and worth $100. The other sets binaryeye gave that were even close in weight did seem equitable for their prices, but for whatever reason I just consider Mammoth a mid-size set and not an almost $100 large set, not a mechdragon set. Aanchir, thanks for your explanation. That helps. I had been wondering about the elephants, but as said I kept looking at the fire lion in comparison and that has the huge elephant and what seems to be large parts and seemed to have a reasonable price. I think what you said as the 'perceived value to a kid' may be a large bit of of the mammoth and the large pieces and some cool elephants. My other addition, there usually seems to be 1-2 sets that seem to have a mark-up each season and then seem to be the target of stores for larger holiday discounts. Removable vehicles are cool, but it is not something I have seen a mark-up even if kids love them. As an example, Galactic Titan, Vermin Vaporizer, bug Obliterator, and even the Sabertooth in the same line as the Mammoth, all had a removable vehicles. Anyway, good thoughtful comments, Aanchir. And Matthew... I do agree, the Mammoth and Sabertooth are two of the cooler sets from this summer, and really the first Chima sets my son has expressed any interest in.